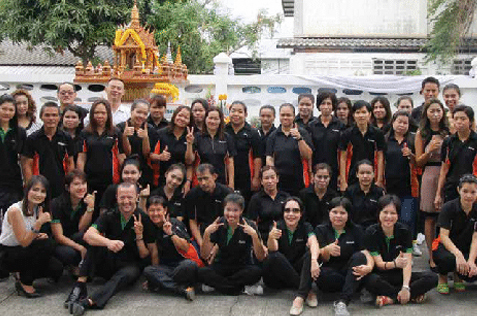 Staff at Alsco Thailand worshipped at the Spirit House earlier this year. Thais believe that every place has its own ancestor or is pre-owned by someone who has passed away but still looks after that place. They pay their respects to that ancestor in order that they will be protected and prosper. The spirit house becomes a focal point to cultivate a harmonious relationship with nature; offerings are made in exchange for abundance, protection and creative potential. The ceremony took place on 23 February, considered a good day on the Lunar calendar. Staff from the office, Production, Sales and Store attended the Spirit House ceremony. 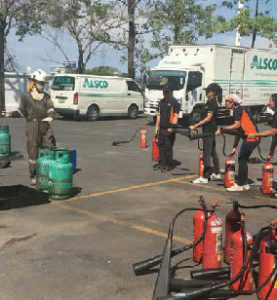 Staff members participating in the annual fire safety training. Thailand culture is so different to Australia that you cannot even begin to compare it. It is extremely beautiful. 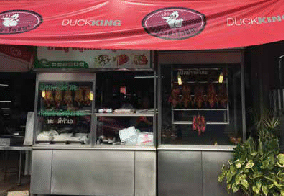 The Duck King is a famous duck vendor around the corner from the branch where we had lunch. 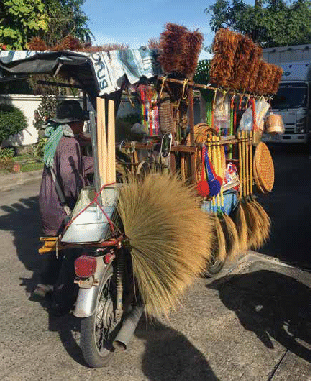 The photo (above) is the great cleaning supplier that comes on site to sell. It’s so different to what you would find in Australia. We love it! Wattle Grove Lions Club has been providing essential items such as food, clothing, books, toiletries, blankets and other items to the homeless can have the things we all take for granted. Alsco branches Enfield and Alexandria have assisted by donating towels to assist the Liverpool and Bankstown areas so the homeless can have showers. Night Patrol is a homeless service operating five nights per week (Tuesday – Saturday), excluding public holidays, within the Liverpool local Government area and is a part of the Sydney Vinnies Van Services. It provides sandwiches, blankets, toiletries, hot beverages and most importantly. Companionship to people who are experiencing or at risk of homelessness.